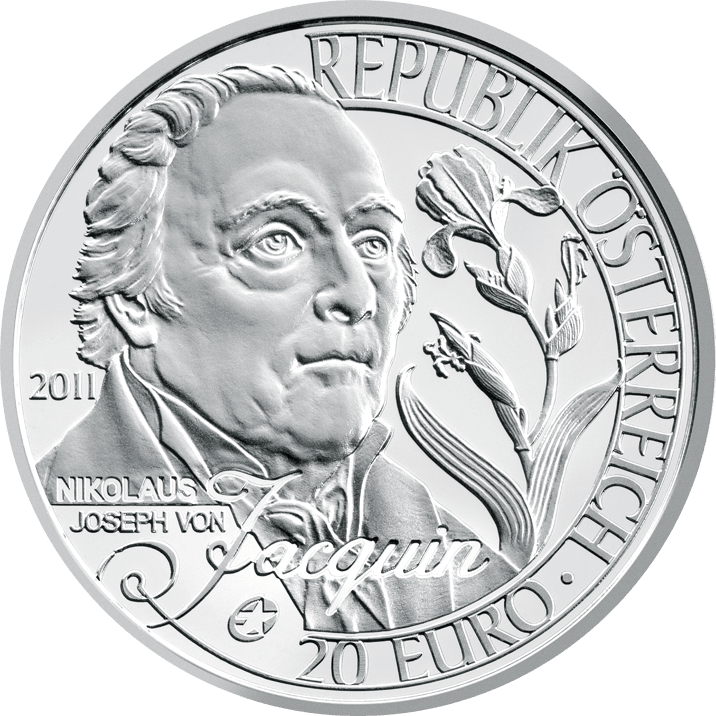 With an attention to detail worthy of the great man himself, this impressive 20 euro silver coin pays homage to Nikolaus Joseph von Jacquin. The botanist who helped make the gardens of Schönbrunn the most celebrated in Europe left a legacy that lives on at the Viennese palace almost 200 years after his death. One of Jacquin’s many discoveries was iris variegata, which features on the obverse of the coin alongside an impeccable portrait of the botanist who was also an explorer. Indeed, the coin’s reverse shows a detail of Jacquin on one of his fruitful expeditions to the Caribbean under the instructions of Emperor Franz I to bring back plants and animals for the botanical and zoological gardens at Schönbrunn. The coin is Austria’s contribution to the European Silver programme, a cooperation between the European Union’s leading mints to celebrate common aspects of European identity. 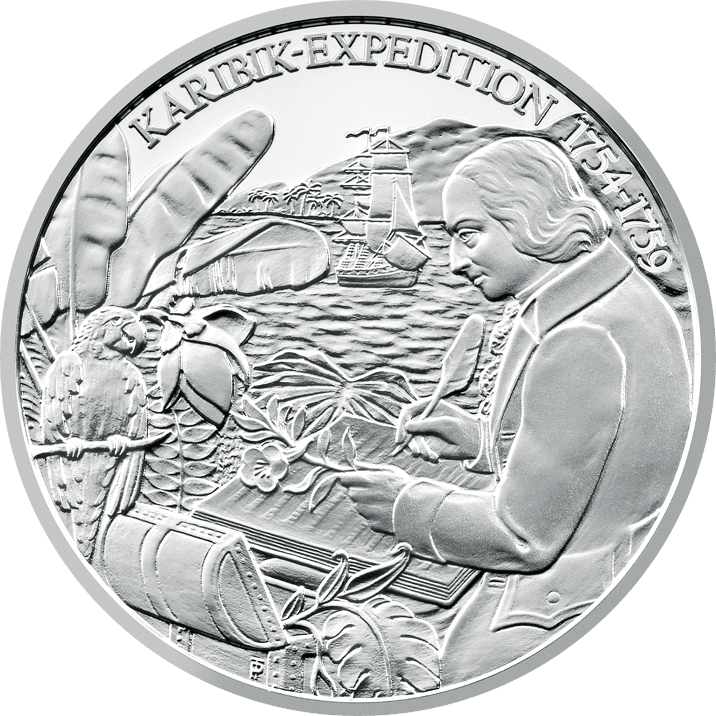 The 2011 theme is European explorers and all participating coins bear the privy mark “Europa Star”, are 900 Fine silver and contain 18 grammes of pure silver. With a maximum mintage of 50,000 in Proof quality only, every one of these fabulous coins is sealed and packed along with an individually numbered certificate of authenticity.